An admin’s secret weapon for office catering. Let’s make your life easier. Old-school catering slows you down: sifting through a drawer of menus, calling noisy restaurants, keeping track of paper receipts. ezCater makes it easy, freeing up your time for other things — because you have plenty on your plate besides catering. Browse tons of local menus. 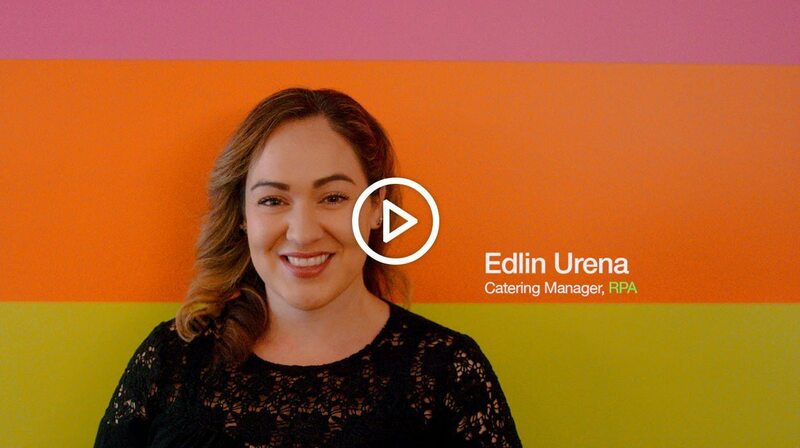 ezCater’s marketplace features more than 60,000 caterers nationwide. Filters help you find what you want, reviews show you what’s good, and on-time ratings let you order with confidence. Place orders online, by phone, or on our iPhone app — 24/7. Need to make a change? That’s just as easy. Don’t pay a penny extra. ezCater is 100% free to use: no markups, no added fees. You pay the same price as if ordering directly through the caterer. Digital receipts never go missing, and ezCater can automatically send your receipts to your Concur account. Earn up to 5% back on your orders, and redeem points for order discounts or Amazon.com Gift Cards. Search for a caterer in your delivery area, something tried or something new. We confirm your order with the caterer, then confirm that the order has been accepted with you. We check in with the caterer, then text you the day of your event letting you know that your order is all set. We ensure the timely delivery of your food. You and your team have the best meal ever.